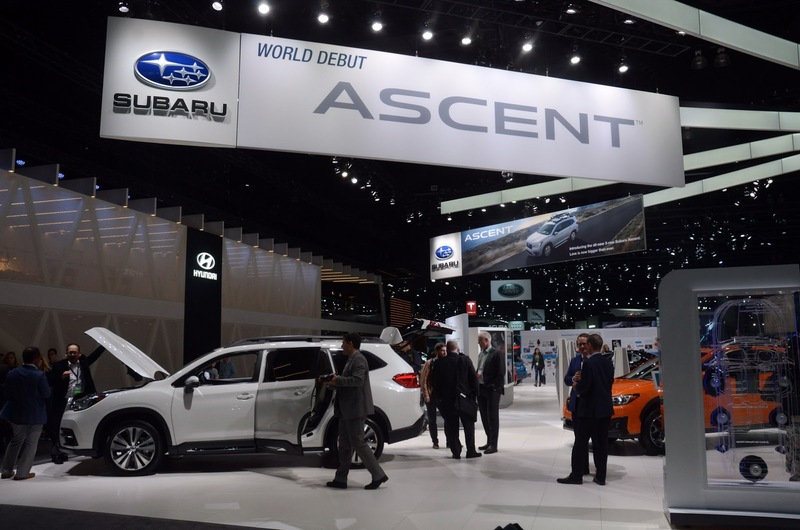 The new Subaru Ascent has landed in Los Angeles, ready to pick a fight with the Honda Pilot, Ford Explorer, and Chevrolet Traverse, among others. 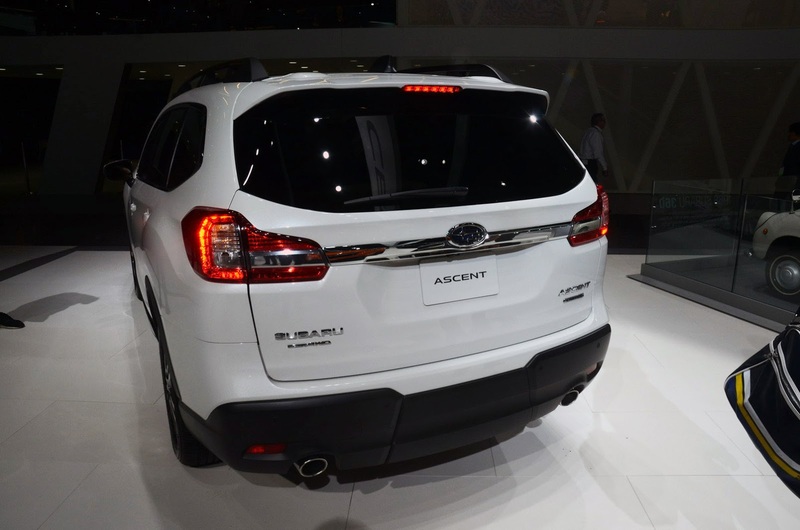 However, until it proves itself worthy of challenging other three-row SUV across North America, it's trying to get the attention of potential buyers in this highly-competitive segment with a very civilized (others would say boring) exterior design, and a versatile cabin that can carry up to eight passengers. You can bash Subaru all you want for its timid design efforts, but you can't deny that they know what their core audience wants, as proved by their sales momentum with 71 straight months of increased deliveries in the States. The devil, as they say, is in the details, as where the ill-fated Tribeca failed (space), the new Ascent more than makes up for it. At 196.8in (499.9cm) long, 76in (193cm) wide, and with a wheelbase of 113.8in (289.1cm), this is the largest Subaru ever. 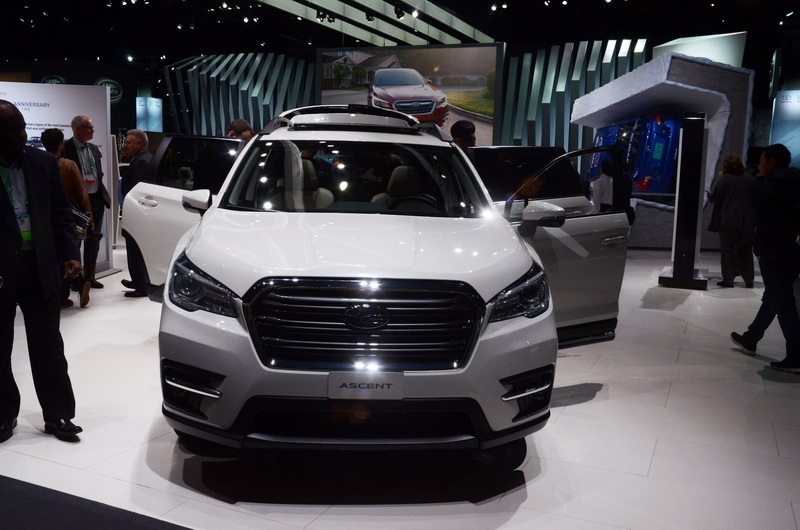 It builds upon the Ascent Concept shown this year in New York, which, in turn, is derived from the 2016's Viziv-7 study, and beneath its new sheet metal lies a modified version of the company's modular vehicle platform. 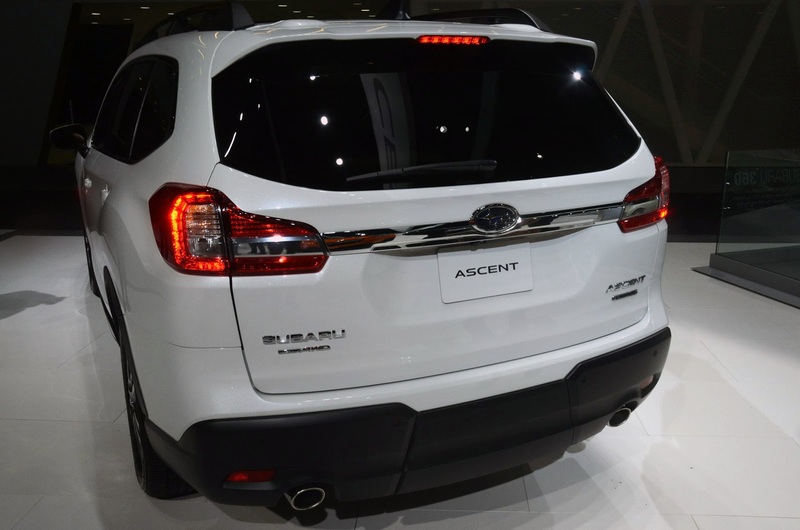 By the time it arrives at dealers next summer, American customers will get to choose between one of four trim levels. 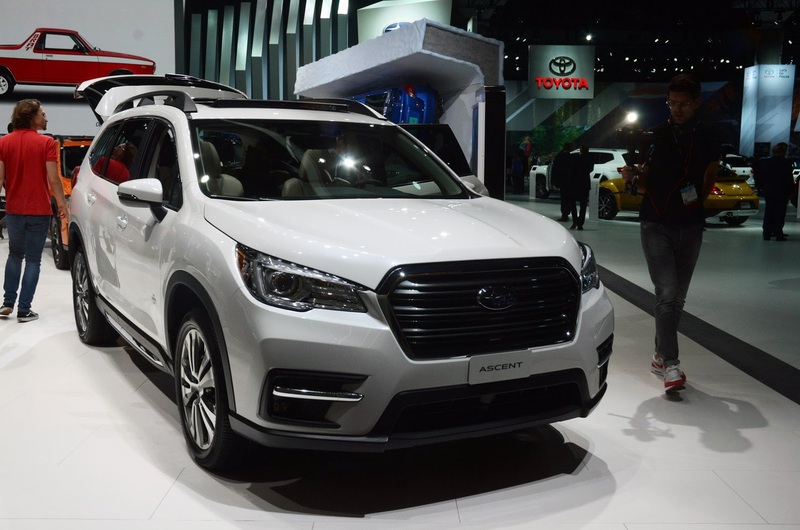 Each one is well equipped, even the base model, which comes with features such as infotainment system, smartphone connectivity, three-zone automatic climate control, and automatic emergency braking. However, regardless of their selection, they will have to settle for the 260hp and 277lb-ft (376Nm) of torque 2.4-liter Boxer engine, with twin-scroll turbo and a CVT.